I will attend the following seminar at 7 pm on Friday, January 23, 2015. It will be held in a private dining room at Boston Pizza (1045 Columbia Street in New Westminster, British Columbia). 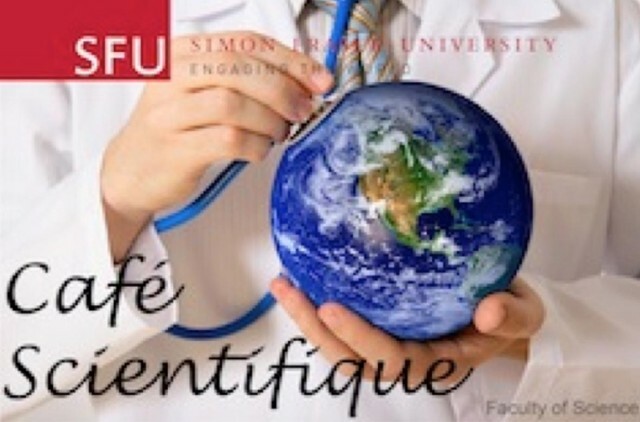 This seminar is part of Café Scientifique, an ongoing series of public lectures from my alma mater, Simon Fraser University. If you will attend, please come and say “Hello”! **Note that there is no accent above the “e” in this address. Research interest: My general interest is statistical computing. Most of my work attempts to take advantage of the power of modern computing machinery to solve real statistical problems. The area where I have devoted a lot of attention is the integration problem arising in Bayesian applications. Lately, my interest in statistics in sport has grown to consume a fair bit of my time, perhaps too much of my time. Sports analytics has become an important area of emphasis for professional sports teams in their attempt to obtain a competitive edge. The discussion will revolve around recent work that Dr. Swartz has conducted in sports analytics such as the optimal time to pull a goalie in hockey, insights into home team advantage and the value of draft positions in major league soccer.